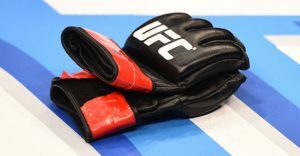 USADA announced today that UFC athlete, Yoel Romero, of Miami, Fla., has accepted a 6-month sanction for an anti-doping policy violation after testing positive for a prohibited substance from a contaminated supplement. Romero, 38, tested positive for Ibutamoren following an out-of-competition test conducted on December 16, 2015 in Miami, Florida. Ibutamoren is a Growth Hormone Secretagogue and a prohibited substance in the class of Peptide Hormones, Growth Factors, Related Substances and Mimetics under the UFC Anti-Doping Policy, which has adopted the World Anti-Doping Agency (WADA) Prohibited List. Following notification of his positive test, Romero provided USADA with access to the dietary supplement products he was using at the time of the relevant sample collection. Although Ibutamoren was not listed on any of the supplement labels, preliminary testing conducted on one of the products indicated that it contained the prohibited substance. The presence of an undisclosed prohibited substance in a product is regarded as contamination. At USADA’s request, the WADA-accredited laboratory in Salt Lake City, Utah, independently obtained and analyzed the contents of an unopened container of the supplement in question. That testing conclusively confirmed that a supplement Romero used was contaminated with Ibutamoren. The product has since been added to the list of high risk supplements maintained on USADA’s online dietary supplement safety education and awareness resource – Supplement 411 (www.supplement411.org). Romero’s period of ineligibility began on January 12, 2016, the date on which he was provisionally suspended from competition. Because USADA was able to confirm, based on a negative fight night test result, that Romero’s use of the contaminated supplement began after he competed at UFC 194 on December 12, 2015, his competitive results from that event were not disqualified.